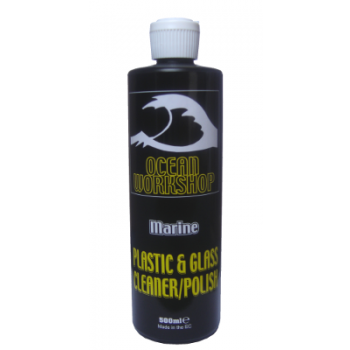 Plastic & Glass Cleaner/Polish has been specially formulated to give a rapid, smear-free finish to all glass and plastic windows. It cuts through oil, grease and other contamination to leave a clear, sparkling window. Shake well before use. Apply an even, thin coating with a soft lint free cloth. Allow to dry, then polish off with a clean cloth. Stubborn marks may need a second application.